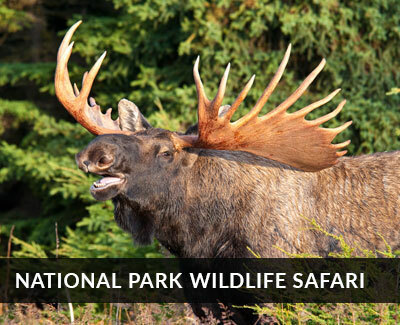 Our award - winning Alaska Bear Viewing Camp is located on the shores of Lake Clark National Park, in a rugged. inaccessible and incredible wilderness. 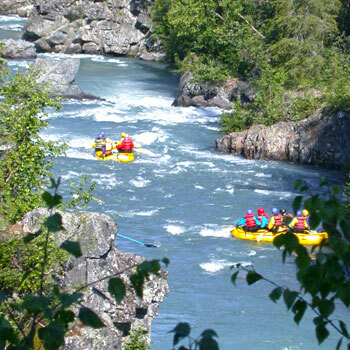 Named "North America's best Bush camp" by Outside Magazine and one of "America's Best Adventures" by National Geographic traveler, Alaska BearCamp® sits in a virtual time machine...between the towering snow capped mountains of the Alaska Range and the ice cold waters of Cook Inlet. 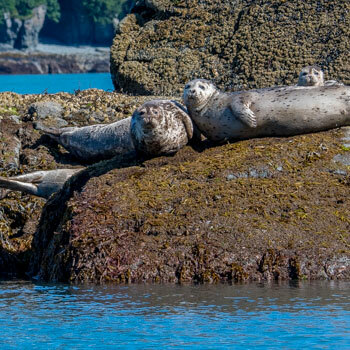 Accessible only by air or water, It has been called "The Alaska of my dreams" and "all I imagined it could be" by past Great Alaska guests. 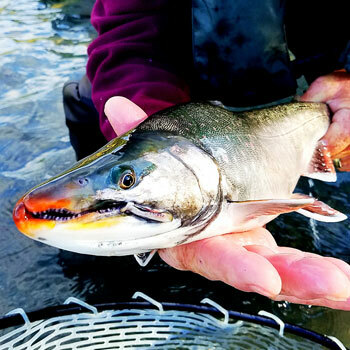 You may enjoy the trip via one of our extended Alaska Adventure travel trips, or as the perfect add-on to your independent tour of Alaska. 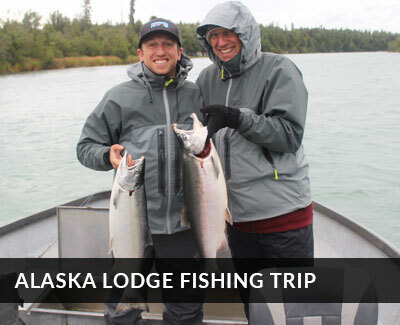 2, 3, 4 and 5 day trips begin at our main lodge for check in, or you may roundtrip transfers from Anchroage via sightseeing van for an additional 150.00 per person. 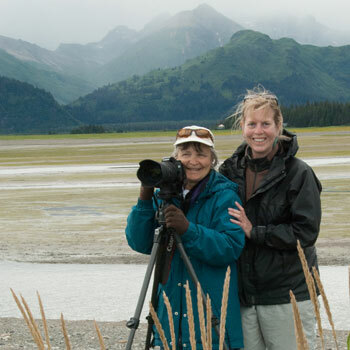 The best Brown Bear viewing in Alaska is here, and waiting for you. Would you like a brochure? 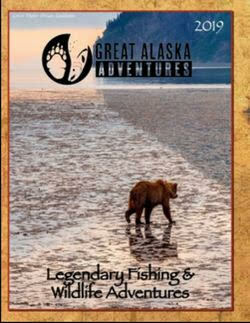 Alaska BearCamp is a sustainable Bear Viewing location situated on a one of kind, homestead property between Mt. 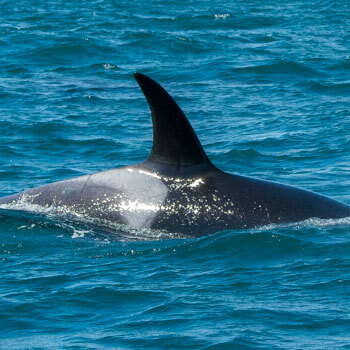 Illamna and Chinitna Bay. 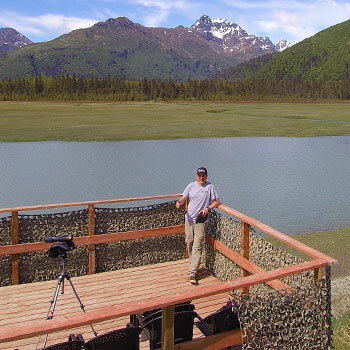 We are the only overnight bear viewing location with a raised platform for your comfort and safety. We have also been in the same location for nearly 2 decades, living in concert with the Bears so that our presence is accepted by them. 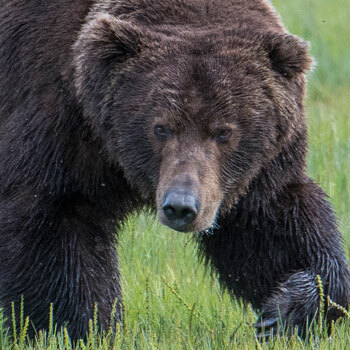 They do not have to change their behavior due to being "chased" by plane operators attempting to get close to the bears in a limited amount of time. The tents are hi tech extreme Weather Ports, essentially "quanset hut" style tents made of extreme PVC coated nylon stretched over metal pipe. 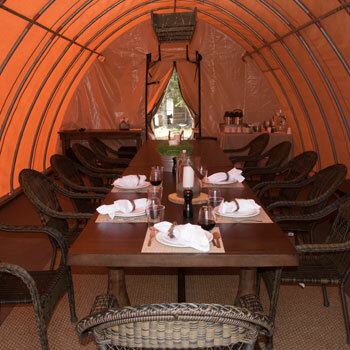 Made to endure extreme winds and weather, they feature hard wooden doors and floors, cozy beds with full linens and propane heat and light. While our main bathrooms and showers are in a separate shower house, the tents also have RV style potties to avoid those evening trips to the bath house! Meals are served in the main dining tent and there are chairs and a small book and video library there as well. 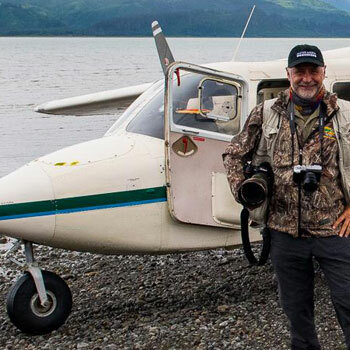 Your thrilling bush plane flight to the camp will fly by the peaks and glaciers of two of Alaska’s most famous volcanoes - Mt. Redoubt and Mt. Illiamna. 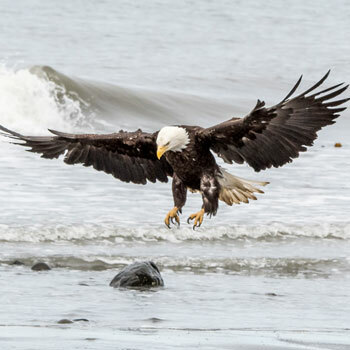 And, as Alaskan's have been doing for 60 years, land on the beautiful beach directly in front of BearCamp®. This true road less wilderness will become one of the most memorable parts of your vacation. Here's a story about BearCamp. 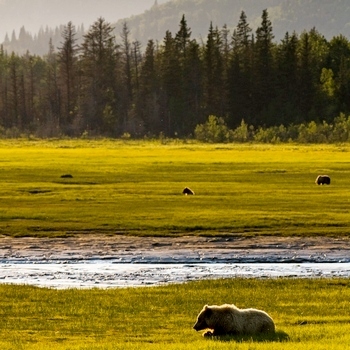 Our private the camp is perfectly situated between the ocean shore and the sedge grass - critical Wild Alaskan Brown Bear habitat. Perched between the Mountains and the inlet - at the foot of a rich sedge grass meadow the bears have been using to raise their young and ready themselves for the summer's bounty of fat, spawning salmon to entering the streams mid-summer and the site was an original Alaskan homestead, and living remnants of the homestead are everywhere. 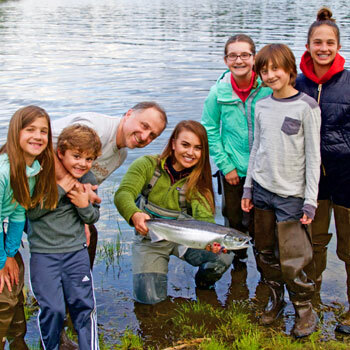 This intimate location is so unique that Disney used Alaska BearCamp® as a primary base camp for much of the 2012 season and nearly all of 2013 to film the popular movie “Bears”. Nowhere in Alaska is the bear viewing as consistently productive as our camp, due to the season - long availability of food. In the Spring, sedge grass is waiting for the bears as they emerge from their dens. We just returned from a three day trip to Bear Camp. It was absolutely wonderful. The staff at the camp site were very friendly and took great care of us. Excellent meals and wine in the evening. Our guides did everything they could to get us to the best loctaions for photos. We were fortunate to have the viewing platform for when the bears were up in the stream behind the camp and Dylon and Dennis escorted us to the beach area when the bears had moved toward the bay. We never felt threatened even when the bears came within just a few feet of us.